On 22 August 2016 the OECD released Public Discussion Draft: BEPS Action 2 – Branch Mismatch Structures (Discussion Draft), which identifies and analyses mismatches that may arise through the use of branch structures. The Discussion Draft sets out preliminary recommendations for domestic rules, based on those proposed in the OECD’s Final Report on BEPS Action 2 – Neutralising the Effects of Hybrid Mismatch Arrangements (2015 Final Hybrids Report), which will hopefully neutralise the mismatches in tax outcomes arising from the exploitation of branch structures. To contextualise the Discussion Draft, it is necessary to summarise briefly the BEPS risks that BEPS Action 2 seeks to address. Hybrid mismatch arrangements arbitrage differences in the tax treatment of an entity or instrument under the laws of two or more tax jurisdictions to achieve double non-taxation, which in this context, includes long-term tax deferral. These arrangements are ubiquitous and cause substantial erosion of the tax bases of the affected jurisdictions. Moreover they have a negative impact on competition, efficiency, transparency and fairness. A hybrid mismatch arrangement is effectively a profit shifting arrangement that generates a mismatch in tax outcomes in respect of a payment made in terms of the arrangement, such that the mismatch results in a lower aggregate tax obligation for the contracting parties. Payments are defined as all amounts capable of being paid including distributions, credit, debit or accruals of money or money’s worth, but excluding payments only deemed to be made for tax purposes which do not create economic rights between the parties. Arrangements that use hybrid entities, where a single entity is treated differently for tax purposes in terms of the law of two or more jurisdictions. The divergent treatment of the hybrid entity between jurisdictions precipitates different characterisation of payments made in relation to the hybrid entity under the laws of different jurisdictions. The hybridity of an entity is generally a function of its transparency or opacity for tax purposes; and consequently how its tax treatment in a particular jurisdiction, impacts a particular payment. Generally hybrid mismatch arrangements exploit the transparency or opacity of the entity for tax purposes. A partnership is a typical example of a hybrid entity, treated as transparent in certain jurisdictions but as partially opaque in other jurisdictions. Another example of a popular hybrid entity encountered in the international arena is the Dutch cooperative association (COOP), due to the favourable Dutch tax treatment it receives as well as its structural flexibility from a Dutch legal perspective. The COOP has a legal personality but it does not have shares and instead of shareholders, it has members. This fact notwithstanding, its distributions are deemed to be dividends. Its attributes from an international tax planning perspective are indubitable. hybrid financial instruments, which are financial instruments in terms of which taxpayers assume mutually incompatible positions in relation to the same payment made under the instrument. In consequence of the BEPS risks associated with hybrid mismatch arrangements, and with the objective of improving the coherence of corporate income taxation at the international level, the OECD called for recommendations regarding the design of domestic rules and the development of model treaty provisions that would neutralise the tax effects of hybrid mismatch arrangements. The 2015 Final Hybrids Report details those recommendations. (D/NI) outcomes); and/or the generation of multiple foreign tax credits for one amount of foreign tax paid. By neutralising the mismatch in tax outcomes, the rules will prevent these arrangements from being used as a mechanism for BEPS without adversely impacting inter-jurisdictional trade and investment. Part I of the 2015 Final Hybrids Report sets out recommendations for rules to address mismatches in tax outcomes where they arise in respect of payments made under a hybrid financial instrument or payments made to or by a hybrid entity. It also recommends rules to address indirect mismatches that arise when the effects of a hybrid mismatch arrangement are imported into a third jurisdiction. The recommendations take the form of linking rules that align the tax treatment of an instrument or entity with the tax treatment in the counterparty jurisdiction without disturbing the commercial outcome of the arrangement. The rules apply automatically and there is a rule order in the form of a primary rule and a secondary or defensive rule. The recommended primary rule is that countries deny taxpayers a deduction for a payment to the extent that it is not included in the taxable income of the recipient in the counterparty jurisdiction (D/NI outcome); or deny taxpayers a deduction when the payment is also deductible in the counterparty jurisdiction (DD outcome). If the primary rule is not applied, then the counterparty jurisdiction can generally apply a defensive rule, either requiring the deductible payment to be included in income; or denying the duplicate deduction depending on the nature of the mismatch. The rule order prevents more than one jurisdiction applying the rule to the same arrangement and also avoids double taxation. indirect deduction/no inclusion (indirect D/NI) outcomes where the income from a deductible payment is set-off by the payee against a deduction under a branch mismatch arrangement. The Discussion Draft makes it clear that branch mismatch arrangements do not depend upon the hybridity in tax treatment or characterisation of an instrument or entity. Instead, branch mismatch arrangements exploit the tax lacuna that opens when the allocation of income and expenditure between a branch and its head office results in a portion of the taxpayer’s net taxable income escaping taxation in both the branch and the head office (residence) jurisdictions. Although branch mismatches hinge on differences in tax accounting as opposed to differences in legal characterisation, the inter-jurisdictional differences in the treatment of payments made by or to a branch or head office nevertheless result in similar tax consequences as those precipitated by hybrid entity mismatches. Hence the proposed application of the recommendations contained in the 2015 Final Hybrids Report to branch mismatch arrangements. Disregarded branch structures, where the branch does not give rise to a permanent establishment (PE) or other taxable presence in the branch jurisdiction. Example: A Co, resident in Country A, lends money to C Co (a connected person) resident in Country C, through A Co’s branch, B, located in Country B; Country C allows C Co a deduction for the interest payment on the loan; Country A exempts the interest income from taxation on the grounds that it is attributable to B, A Co’s foreign branch; but Country B does not tax the interest income on the basis that B does not constitute a PE or sufficient taxable presence of A Co in Country B, resulting in an intra-group mismatch (a D/NI outcome). The D/NI outcome that arises within disregarded branch structures may be as a result of the domestic rules operating in each jurisdiction or in consequence of a conflict between domestic law and the relevant treaty provisions. Whatever the cause, the tax consequences of exploiting a disregarded branch structure replicate those of a reverse hybrid (that is to say, an arrangement where the divergent characterisation of a hybrid intermediary causes payments to be disregarded in both the intermediary jurisdiction and in the ultimate recipient’s jurisdiction) in that both the residence and the branch jurisdiction exempt or exclude the payment from income on the basis that the payment should be subject to tax in the other jurisdiction. Diverted branch payments, which occur when the branch jurisdiction recognises the branch as a taxable presence but the payment made to the branch is treated as attributable to the head office by the branch jurisdiction, while the residence jurisdiction exempts the payment from taxation on the basis that it was made to the branch. A diverted branch payment operates similarly to a payment in a disregarded branch structure, however the mismatch does not arise because of a conflict in the characterisation of the branch, but rather as a result of differences between the laws of the residence and branch jurisdictions regarding the attribution of payments to a branch. Using the same example as above; Country C allows C Co a deduction for the interest payment on the loan; Country A exempts the interest income from taxation on the grounds that it is attributable to B; while B treats the interest payment as if it was paid directly to A Co. As a result of the mismatch the payment is not subject to tax in either Country A or Country B (a D/NI outcome). The D/NI outcome may be due to differences in the interpretation or application of rules applied by Country A and Country B in the allocation of income to a branch. Regardless of the cause of the mismatch, both the residence and the branch jurisdiction exempt or exclude the payment from income on the basis that the payment should be subject to tax in the other jurisdiction. The BEPS Action 2 recommendation proposed to tackle the branch payee structures’ D/NI outcomes detailed above requires the residence jurisdiction to restrict the branch exemption so that it does not extend to payments that have not been brought into account for tax purposes by the branch. In line with the 2015 Final Hybrids Report, the Discussion Draft recommends that the residence jurisdiction should enhance the operation of the branch exemption so that payments that are disregarded, exempt or excluded from taxation under the laws of the branch jurisdiction are treated as if they had been received directly by the head office; in other words, denying such payments the residence jurisdiction’s exemption for branch income. A further BEPS Action 2 recommendation is proposed for adoption by the payer jurisdiction – a branch payee mismatch rule. This rule would operate to deny a deduction for a diverted branch payment or a payment made to a disregarded branch if the branch structure gives rise to a mismatch in tax outcomes. A structured arrangement is one developed to exploit differences in tax treatment, where the mismatch is priced into the agreement or the facts and circumstances (including the terms) of the arrangement indicate that it has been designed to produce a mismatch. Facts and circumstances which are indicative of a structured arrangement include tax benefits that are disproportionately significant relative to the non-tax business and financial consequences of the arrangement; the arrangement involves typical features of tax-driven structured products such as tax-indifferent parties or special purpose vehicles; or there are collateral arrangements or embedded terms in the arrangement that amend the economic return under the instrument should the tax benefit not materialise etc. A taxpayer will not be treated as party to a structured agreement if neither the taxpayer nor any member of the same control group could reasonably have been expected to be aware of the mismatch and did not share in the value of the tax benefit resulting from the mismatch. Two persons are in the same control group if they are consolidated for accounting purposes; the first person has an investment that affords that person effective control of the second person, or there is a third person that holds investments in both which affords that person effective control over both the first and second person; the first person has a 50% or greater investment in the second person or there is a third person that holds a 50% investment or greater in both; or they can be regarded as associated enterprises under Article 9 of the OECD Model Tax Convention. A person will be treated as holding a percentage in another person if that person holds directly or indirectly through an investment in other persons, a percentage of the voting rights of that person or of the value of any equity interest in that person. The patent similarities between the definitions of “structured arrangements”, “impermissible tax avoidance arrangements”, “control group”, “group of companies” and “connected persons” indicate the South African tax regime’s preparedness to adopt the OECD BEPS recommendations in this regard, once the recommendations are finalised. Comments on the Discussion Draft will make for interesting reading. 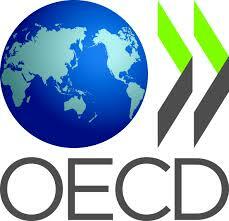 The OECD BEPS Action 2 recommendations are ‘branching’ out.